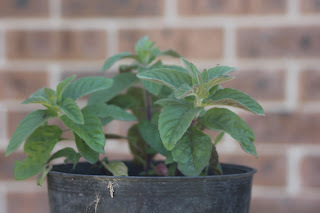 There are many different varieties of mint, I have grown some over the years and currently grow a few. 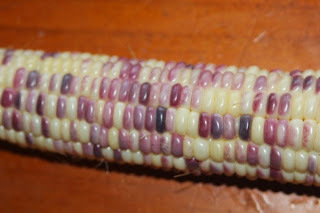 I plan to increase the varieties I grow as I find nice varieties. There are also a few herbs that are related to mint (or are completely unrelated to mint but have mint in the common name) that I grow. Unless you are attempting to breed a new variety, mint is best grown from cuttings or division as seed grown mint tends to grow variable plants. When grown from seed some plants may have a strong scent, others weak, and a whole lot of substandard plants in between. All mint varieties enjoy moisture, they grow best in cool damp climates but still perform ok in hot and dry climates if watered often and given some shade. All mint varieties have a tendency to become invasive and spread by underground rhizomes. Some are far more aggressive than others. This can be a good thing or a bad thing depending on how you manage it. I have heard people advise to dig a hole and plant a pot of soil in which to grow mint. I have seen mint escape from this and take over gardens so I grow mint in pots and keep the pots on pavers or concrete. For me, mint’s aggressive growth is a good thing. I am mindful not to allow it to escape, so the gressive growth makes it incredibly forgiving and productive even in a small space. People grow mint to attract pollinating insects, but I don’t recommend doing this at all. Some varieties of mint will drop viable seed, sometimes thousands of tiny viable seeds, and seed grown mint is often inferior to the parent. The seeds are tiny and almost impossible to find. Mint also tends to change smell and taste when it flowers. For these reasons I always try to remove the flowers. Sure the bees like it, but they also like a lot of other things that flower at the same time that won't cause me any problems. Some varieties of mint will die down over winter, others will forge through unharmed. Mints are perennial and so far they all survive winter here and happily grow for me as the weather warms. I have heard of people who grow several varieties of mint in the same garden bed, this is a very bad idea. Normally one variety is stronger and takes over eventually leaving you with only one type of mint growing. 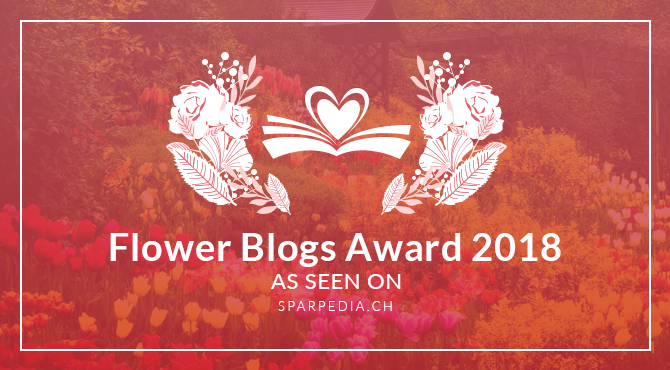 People often get confused and think that the different varieties alter each other by growing close by and they are left with strange smelling plants, which is not the case. Sometimes the mints flower, they cross pollinate with one another, and drop seed. Most of these seeds will grow odd smelling plants. One of these seedlings will eventually take over and all the other mint plants will eventually die off. Quite often this seed grown plant does not smell great, which is where the confusion comes from. Either way I grow mint in pots and try to prevent flowering so as to avoid this type of problem. Below are some of the mint varieties that I am currently growing and am happy with. I am still trialing some others, some are looking pretty good so far, others will be composted if they are not nice enough or productive enough or useful enough. Native river mint (Mentha australis) has a bunch of different common names. It used to grow along much of NSW and VIC and other parts of the country along river banks and flood plains but has become pretty rare in the wild. I have spent my life living in the natural range of this plant, and spent huge amounts of time in the outdoors for work and uni and fun, but am yet to come across this in its natural habitat. Like any variety of mint it prefers damp places but can tolerate drier soil. This plant smells much like regular peppermint and is edible. I have heard stories that the first Europeans in Australia used this plant in their Sunday roast as well as to ease colds. Being an unimproved, undomesticated species, seeds grown from this plant will be very similar to the parent but could also be used to breed a superior variety. Native River mint is not overly invasive and will not try too hard to take over the garden. Spearmint (Mentha spicata) was once the most commonly grown garden mint, it used to be in every garden. 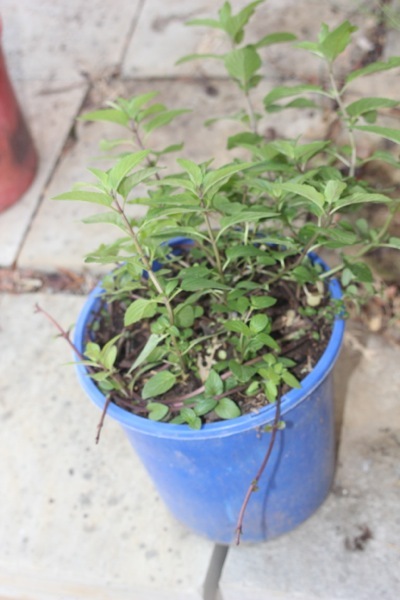 The spearmint lollies that used to be in shops were based on the smell and taste of this plant. Spearmint is edible and it smells sweet and minty. This is the mint that people often used to make mint jelly, or to use with a roast, or to have with peas, or in various summer drinks. It is also used to treat colds and headaches and similar things, I am not sure how effective it actually is in any of its medicinal purposes. 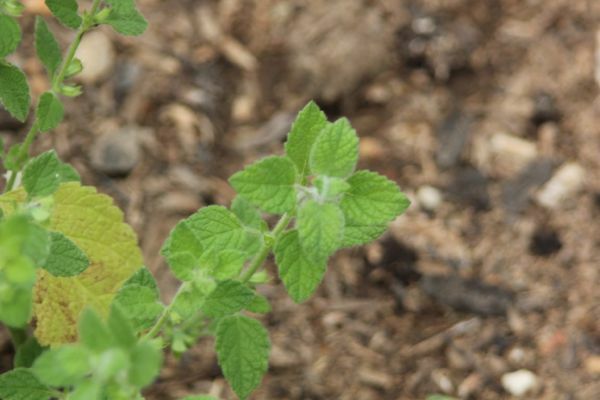 Spearmint is invasive and care must be taken to prevent it taking over the garden. Peppermint (Mentha X piperita) has a much stronger smell than spearmint. It is edible and can be used in all the same ways as spearmint plus it tends to be used more often medicinally as it is stronger and contains more essential oils than spearmint. Peppermint essential oils certainly clear the nose and can be used in a calming tea, but I am not certain of how effective it is in its other medicinal properties. It is also used to treat wounds as it has anti-microbial properties. I have heard that mice dislike it, but have a feeling that this is superstition and may not actually work to effectively repel mice. Peppermint is a hybrid between two different species of mint (spearmint Mentha spicata and watermint Mentha aquatica), as such seed will produce a mix of a range of mints and none of them will be peppermint. 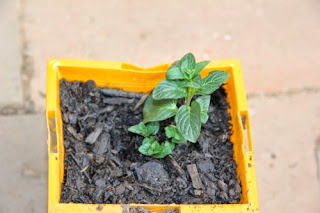 Please never buy any seeds from any company that sells peppermint seeds as they either know little about the seeds they are selling, or they know they are selling you rubbish and are happy to deceive you. Peppermint is very invasive and care must be taken to prevent it taking over the garden. Chocolate mint (Mentha X piperita f. citrata 'Chocolate') is a chocolate smelling variant of peppermint. It is edible and used in all the ways, culinary and medicinal, that regular peppermint is used. As it smells like chocolate it is often used is drinks and deserts. 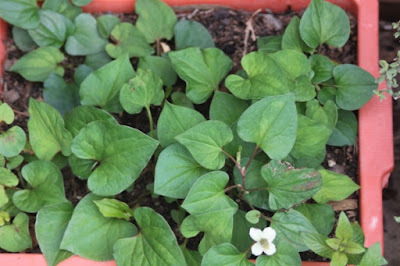 This plant changes how it smells throughout the growing season, sometimes it smells very much like chocolate, others it smells much like peppermint, sometimes when flowering I think it smells bad. Seed grown chocolate mint are extremely variable and I think that many of them being dreadful. To this end I do not allow it to flower and cut it to the ground when the first flower buds appear. 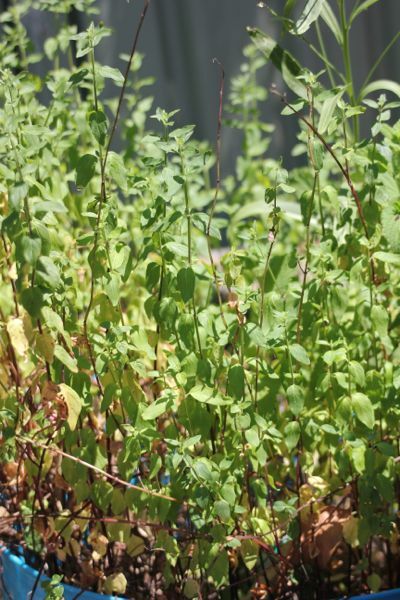 This plant is extremely invasive and care must be taken to prevent it taking over the garden. Lemon mint (sold to me as Mentha 'lemon' but likely to be some complex Mentha hybrid) is a fresh lemon smelling variety of mint. It is quite nice. Some times of the year it smells very strongly of zesty lemon mixed with mint, other times (such as after flowering) it smells like weak mint with just a hint of lemon. Lemon mint can be used in deserts, drinks, and any meals where lemon and/or mint works well. I don't know anyone who has grown seed from this but assume the results would be a mix of weak peppermint and other weird things. This plant is very invasive and care must be taken to prevent it taking over the garden. Variegated apple mint (Mentha suaveolens variegata) my plant actually died during my recent multiple moves as it was growing in a tiny pot that did not get watered for far too long, but I have another one now. I guess that they smell a bit like mint and a bit like apple and is a lot of fun. It is used in herbal tea and refreshing drinks and in similar ways to spearmint. Sometimes this plant will grow a branch with all green leaves, this should be removed as it will out compete the variegated parts and pretty soon you will no longer have a variegated plant. Sometimes it will grow an all white branch, this can not photosynthesise and weakens the plant. I don’t often remove the white branches as I like the look of them and they die off by themselves soon enough. Having some white on the leaves means it is less aggressive than if it was all green. This plant is invasive and care must be taken to prevent it taking over the garden. Chinese artichokes (Stachys affinis) are a rare perennial vegetable that is referred to as a ‘tuberous mint’. They are not grown for their leaves but are grown for the white edible tubers underground. This plant looks much like mint but the leaves do not really smell like anything. It prefers cool climates and can have erratic yields in warmer gardens. They sometimes flower but are very reluctant to set seed so I don’t bother to remove them. This plant would benefit from breeding or ploidy manipulation to increase tuber size. 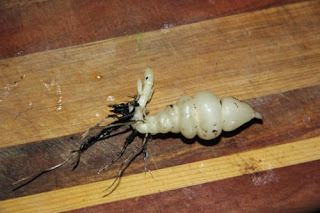 The tubers are crunchy, slightly sweet and look like little grubs so kids enjoy eating them (they call the "sweet grubs"). It is difficult to find this plant anywhere, but it is highly invasive so care must be taken to prevent it taking over the garden. Lemon balm (Melissa officinalis) is not a mint, but is related to mint. It smells like lemon, is edible and used medicinally for a range of things. We have used it in cooking and I am told it makes a nice herbal tea. Normally it smells like lemon but when flowering it is not all that nice. This will happily seed and grow all over your garden if allowed. I am told it does not grow underground runners, but mine do! The runners are not as long or as aggressive as mint, but it still grows them. This plant is invasive and care must be taken to prevent it taking over the garden. 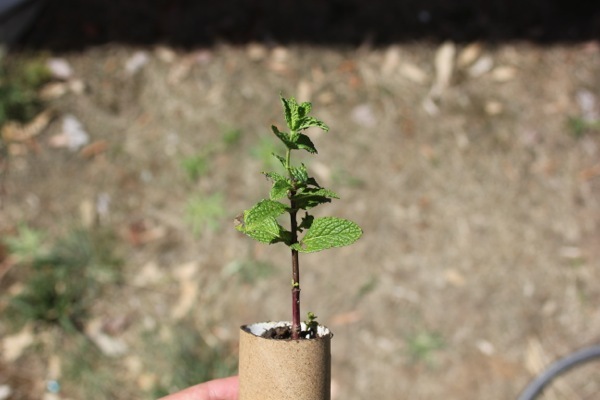 Lime balm (Melissa officinalis 'lime') is a lime smelling variant of lemon balm. It is edible and can be used in all the same ways as lemon balm. I have made a herbal tea from lime balm which is delicious. Seed grown plants are highly variable and many revert to lemon smelling or even nasty soapy smelling variants. I have not grown this long but it appears to be slightly less invasive than lemon balm, even so, care must be taken to prevent it taking over the garden. 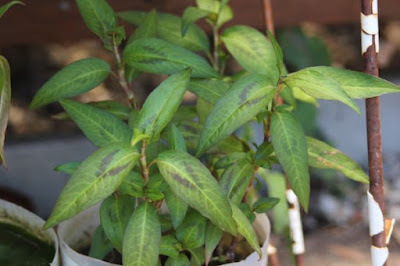 Vietnamese hot mint (Persicaria odorata) is also known as Vietnamese coriander and a heap of other names and is not related to mint in any way whatsoever. This herb smells delicious and is often used in laksa. I grow it as an emergent water plant but am told it grows well in the garden if well watered. It flowers but is reluctant to set seed so I don’t bother to remove them. This is frost tender and must be protected from extreme cold. I really like this herb and find it hard to believe how difficult it is to come by and how few people grow it in Australia. While this plant is super easy to grow and very productive I can’t imagine it being invasive unless you live somewhere tropical in a swamp or a house boat. I take no care to control it and have had no problems with it being invasive whatsoever. Vietnamese Fish mint (Houttuynia cordata) is reasonably new to me and is not at all related to mint. It is edible and has a long history of medicinal use and as a remedy for poisoning. It has a rather distinctive smell and can be used in place of fish sauce and is also used in a medicinal "dokudami" herbal tea. Mine has white single flowers and I am told that it does not set seed. I grow the highly productive and edible green form, there is also a variegated form that is prettier and less invasive that I may try to get one day. 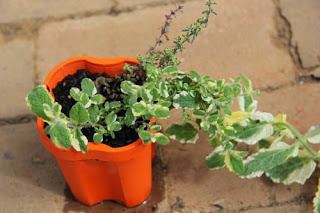 Growing fish mint in a pot will contain it nicely due to its inability/reluctance to produce viable seed. One or two small pots of this herb is meant to supply more than enough for a household and it should never be planted directly in the garden, only ever plant fish mint in pots. If planted in a pot this will not be invasive. This is meant to be one of the most invasive herbs and great care should be taken to prevent it from taking over the entire garden (ie grow it in a pot of soil, not in the garden). As I mentioned, please do not buy any mint seeds ever. Please never buy anything from anyone who sells peppermint seeds. Various garden centers and online places sell different varieties of mint. I have never seen any of them sell organically grown mint. Sometimes you may find garage sales with one or two types of mint. 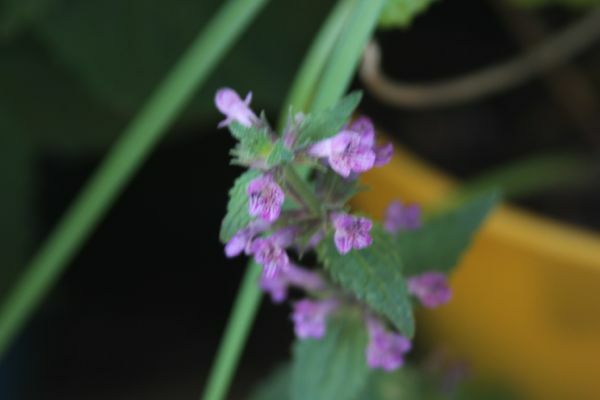 I sell small organically grown mint plants, and the rest of the plants mentioned above, on my for sale page.